Hyderabad, Dec 5 : "Come on, kill me. I go around without security" is how AIMIM chief Asaduddin Owaisi on Wednesday reacted to a challenge by a BJP leader to leave his security and fight with him for 15 minutes. T. Raja Singh, the Bharatiya Janata Party (BJP) candidate from Goshamahal Assembly constituency in Hyderabad, had dared Asaduddin Owaisi and his brother Akbaruddin Owaisi to keep aside their security and wrestle with him. The All India Majlis-e-Ittehadul Muslimeen (AIMIM) chief told reporters that during the last 25 years, he never had even one security guard and goes around alone. "I am ready to die for my cause and I am not scared." Raja Singh, who was a member of the dissolved Assembly, had earlier threatened to cut the head of Akbaruddin Owaisi. "What kind of language is this. Had I used the same language for Prime Minister, you would have turned it into Hindu-Muslim, linked me to Pakistan, and branded me an agent of Lashkar-e-Toiba and a friend of Bin Laden," said Asaduddin Owaisi. The MP said ganging up of Modi, BJP President Amit Shah, Uttar Pradesh Chief Minister Yogi Adityanath, Congress President Rahul Gandhi and Telugu Desam chief Chandrababu Naidu against him had given strong message to the people of Hyderabad. "The pride of Hyderabad will be shown on December 7. People will reject politics of hate and threat and politics of entitlement. They will give a befitting reply." Referring to the allegations of the BJP and Congress leaders against him, Owaisi said they were working together in Telangana to stop AIMIM. "Whatever I do becomes a point of discussion. All parties whose graph is going down think that by criticising Owaisi they will become relevant in Indian politics," he said. 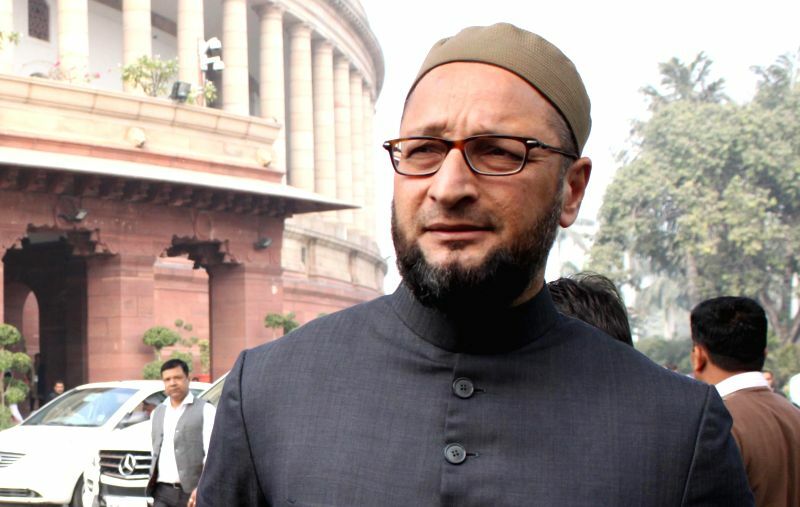 On Yogi's recent statement that if the BJP comes to power, Owaisi will have to flee Hyderabad, the AIMIM leader said the BJP cannot treat Muslims as second-class citizens. "I am not only an Indian by birth like Yogi, but I am also an Indian by choice. We rejected Jinnah's theory and accepted India as our homeland. You can't treat us like second-class citizens." Owaisi said Rahul Gandhi should realise that the politics of entitlement would not work now. "Because of their ignorance, arrogance, incapacity, incapability and their feudal mentality, people are forced to vote for Modi. The moment they change, the change will happen," he said attacking the Congress. The Hyderabad MP remarked that India's politics cannot be biplolar because the country has huge diversity which is not being represented by the Congress and the BJP. "It has to be reflected by regional parties. They will play an important role in who should be the next Prime Minister," he said.